Dominique Wilkins was a superstar Forward for the Atlanta Hawks from 1982 to 1994. Being one of the best dunkers in NBA history earned him the nickname “The Human Highlight Film”. The 9-time All Star was a winner of two NBA slam dunk contests, and is the Hawks all-time leading scorer. During his NBA career, he registered 26,668 points and 7,169 rebounds. The Atlanta Hawks retired his jersey #21 in 2001, and he has served as the Hawks’ Vice President of Basketball since 2004. Wilkins was enshrined into the Basketball Hall of Fame in 2006. 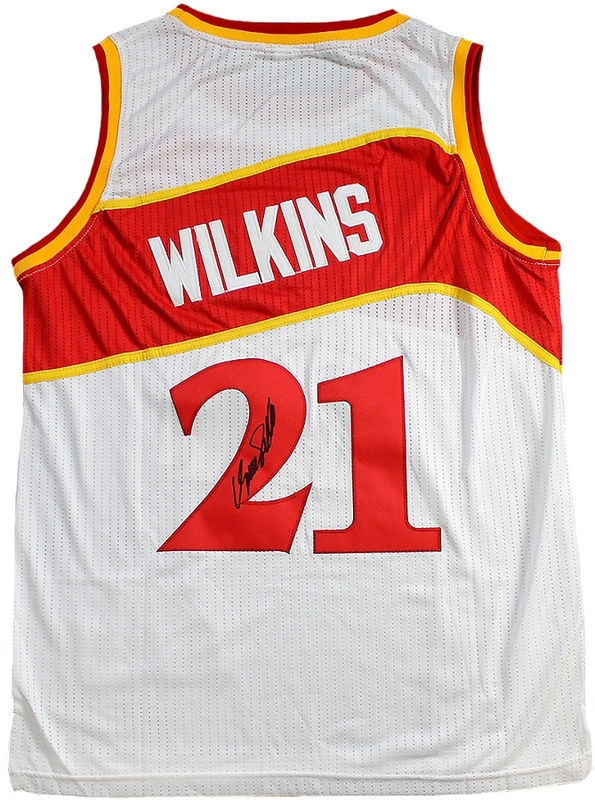 This Atlanta Hawks Adidas Hardwood Classics jersey has been hand signed by Dominique Wilkins. Each autograph is guaranteed authentic, and includes an individually numbered, tamper-evident TRISTAR Authentic hologram.